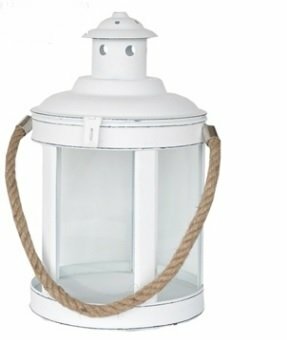 This lantern brings the best out of the candle light. 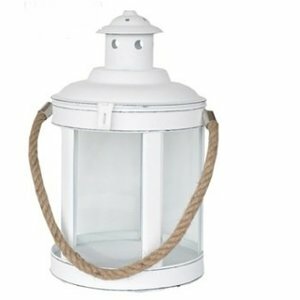 The white-wash finish enhances the flickering flame and the marine-style rope allows you to hang it nicely visible. For best effect, choose some of our colourful candles to add a dash of extra brightness and enjoy the darkening summer evenings in style.